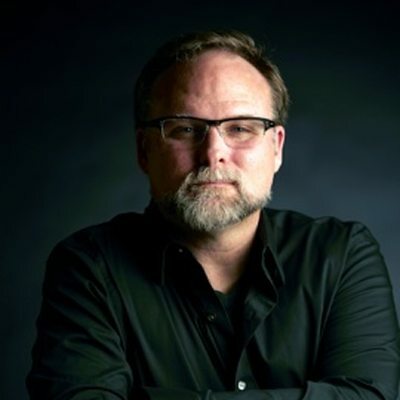 Scott L. Miller is a composer of electroacoustic, orchestral, chamber, choral and multimedia works described as ‘inspir[ing] real hope & optimism for the future of electroacoustic music.’ (Simon Cummings, 5against4.com). He has twice been named a McKnight Composer Fellow, is a Fulbright Scholar, and his work has been recognized by numerous international arts organizations. Recordings of his music are available on Innova, Eroica, CRS, rarescale, SEAMUS and (soon to be released) New Focus Recordings, and is published by ACA (American Composers Alliance), Tetractys, and Jeanné. Miller holds degrees from The University of Minnesota, The University of North Carolina – Chapel Hill and the State University of New York at Oneonta, and has studied composition at the Czech-American Summer Music Institute and the Centre de Creation Musicale Iannis Xenakis. He is a Professor of Music at St. Cloud State University, Minnesota, where he teaches composition, electroacoustic music and theory.